Joseph was born on 23 November 1839 at Ducklington, Oxfordshire to parents John Knipe and Sarah Fisher. The 1851 census identifies John as a sawyer. Joseph attended the village school. When he was seventeen, the Primitive Methodists missioned his village and he was among the first converts of the mission. There was no society in his village, so Joseph attended the Sunday morning class at Witney. Within two years he had become superintendent of the Sunday school and his name appeared on the plan. Joseph also sought to improve his education by placing himself under a trained teacher and attending a number of evening classes. 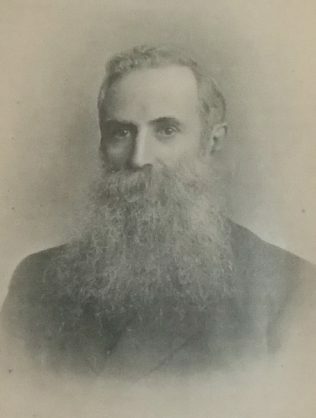 After two years as a local preacher, the Farringdon circuit authorities requested him to supply for Rev Thomas Cummins. In twenty-one months, Joseph walked 4,048 miles, made 3,602 family visits, preached 557 sermons and had the joy of seeing 52 conversions. At the time of the 1861 census, Joseph was working as an agricultural labourer. During the first five years and nine months in the ministry, Joseph walked 10,936 miles, made 12,251 family calls, preached 1,494 sermons and led 246 people to Christ. Joseph built a chapel at Bath and did much work on his stations to reduce chapel debts. Joseph’s preaching was orthodox and evangelical, well calculated to convince sinners, direct penitents to Christ, and help believers into higher conditions of spiritual life. His sermons gave proof of careful preparation, and also of a mind richly furnished with stores of information, which could be used as circumstances required. Joseph married Martha Wiffen (1841-1916) in the summer of 1870 at Ugley, Essex. Census returns identify six children. Joseph died on 27 November 1908 at Padworth, nr Reading, Hampshire. Note 1: Leary ascribes the first three stations to William Joseph Knipe; who disappears in 1871. The biography in the 1902 PMM clearly ascribes these stations to Joseph. Note 2: The obituary in Conference Minutes states he died on 7 September 1908 and was buried at Liscard cemetery, nr Birkenhead, Cheshire. This is not confirmed in searches of the Register of Deaths and Probate records confirm his death on 27 November 1908.